Viola Day Pictures are here! Thank you for a wonderful, fantastic, fabulous Viola Day 2016!!! We couldn’t have done it without your love for all things viola! Tonight is our featured Guest Artist recital! 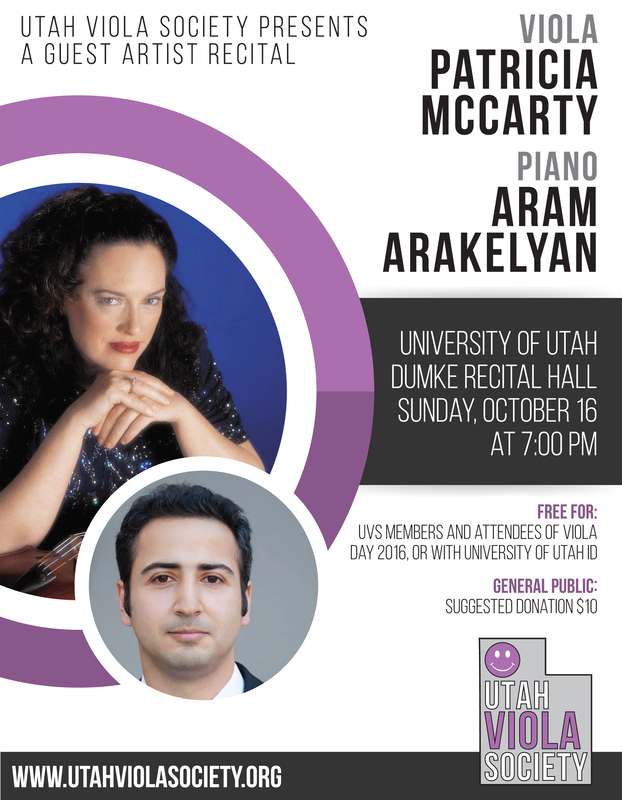 Patricia McCarty and Aram Arakelyan will be performing works by Locatelli, Prokofiev, Joachim, and Benjamin. Get an advanced look at the program notes here! Viola Day 2016 is TOMORROW!!! It’s almost time! The pizza has been ordered and the alto clef cookies are on their way! Patricia McCarty is ready and waiting to show you how to play, we’re going to learn about the Dalton-Primrose Connection, and see a wonderfully curated recital which pays special tribute to his legacy. We’ll end the weekend on Sunday evening listening to our special guests Patricia McCarty and Aram Arakelyan presenting a fabulous recital of lesser known but virtuosic works. If you haven’t renewed your membership, there’s still time! You can renew your Utah Viola Society Dues here, or you can pay tomorrow. But why wait? Paying via paypal is easy! You won’t have to stand in line as long, you’ll be able to quickly check in and start hanging out with your favorite violists and still get to the masterclass on time! 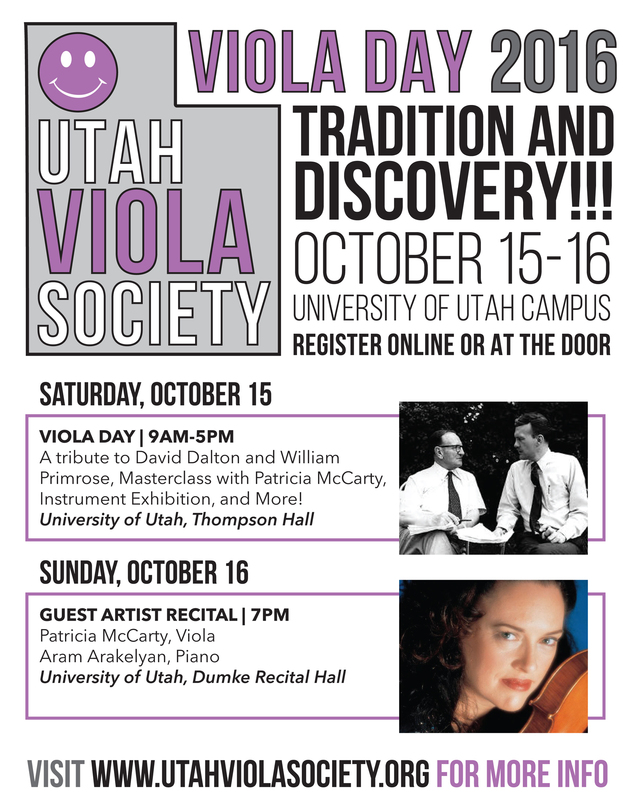 We look forward to seeing you tomorrow at the University of Utah for Utah Viola Society’s Viola Day 2016! 1:30 Meet Your Maker: Try out all the violas! 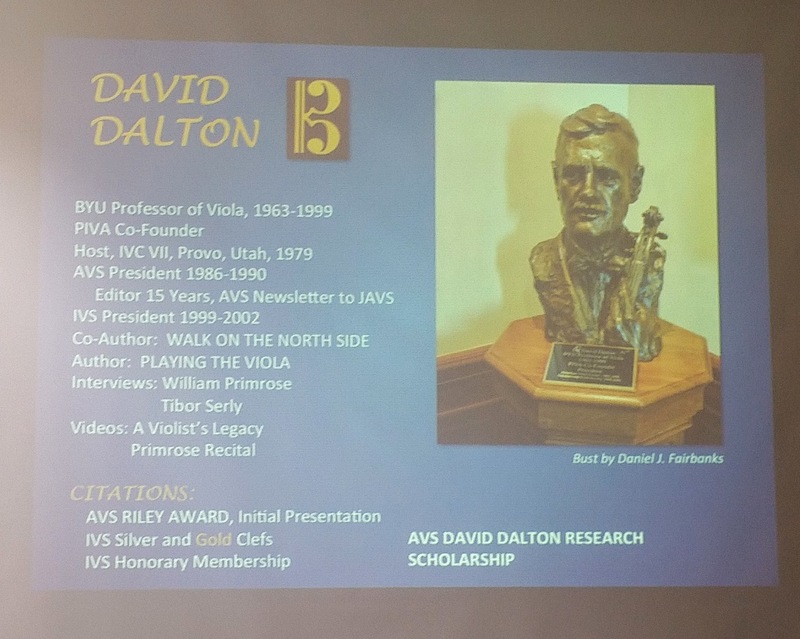 On Saturday, October 15 at 4pm in Dumke Recital Hall, join the Utah Viola Society as we celebrate the legacy of David Dalton in recital. 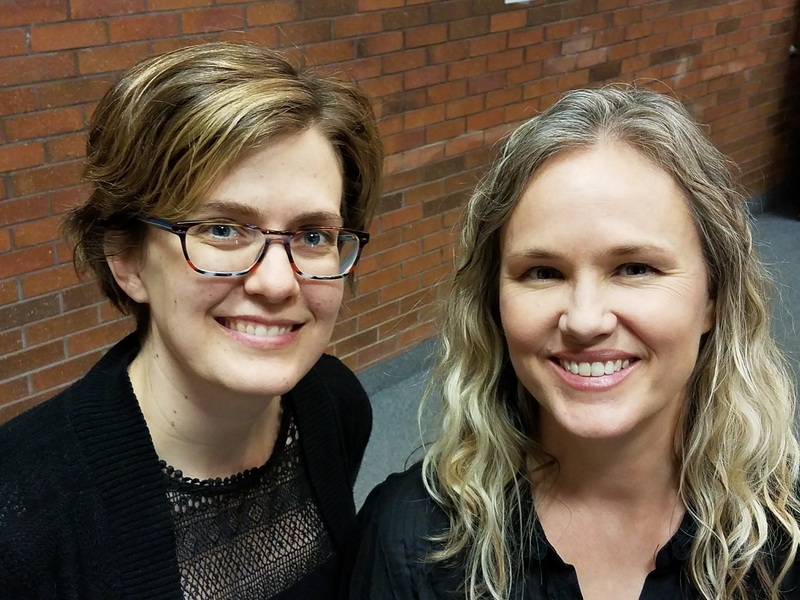 This recital was curated by Dr. Dalton’s former student and assistant, Utah violist and BYU alumna Emily Barret Brown. Utah Viola Society is very grateful to Emily for her work and time putting together this recital! Each of the performers on Saturday have a direct connection to David Dalton in that they were all private students of his, whether at the college level or college prep. Some have double connections, for instance Megan Mason and Caryn Jackson studied both with Emily Brown and David Dalton. About her years with David Dalton, Emily recalls, “I remember playing the puffy marshmallow game with DD and some other students at his home during my college years (in which you pass a bag of marshmallows around the circle, keep adding to the stash in your mouth and have to say something like “I can fit X-number of marshmallows in my mouth!” without spitting, swallowing or gagging. I remember that he won. Join us to celebrate the legacy of David Dalton on Saturday, October 15 at 4pm in Dumke Recital Hall as part of Viola Day 2016! Sadly Dwight is unable to join us for Viola Day 2016 to make his presentation but the Utah Viola Society is grateful that he will share his work with us! Our wonderful viola colleague Dr. Claudine Bigelow will be coordinating the presentation, with David and Donna’s son Aaron Dalton giving the talk. The Dalton-Primrose Connection will begin at 2:30pm in Dumke Recital Hall as part of Viola Day 2016. Carrie Scoggins has been a long time supporter and Utah Viola Society Sponsor. Come see and hear her violas in action as part of Viola Day 2016 at our Instrument Demonstration on Saturday, October 15, 2016! Read in her own words about her shop, playing and performing as a violinist/violist, and what she likes best about playing and making violas! We deeply appreciate Carrie and thank her for her sponsorship of Viola Day and her support of the Utah Viola Society! I am enjoying building instruments. Although I play violin, I like the lower register instruments, violas and cellos. Violists are very open to new instruments and there is such a variety of sizes and shapes. That also has its challenges because each player has different needs. Years ago I built a number of violas for David Dalton’s students – he insisted that they were to be 16.5” body and made from poplar. There are more choices for viola woods. The lower register of the instrument allows for softer woods than maple to be used, such as poplar and beech. My latest violas were made from Big Leaf Maple, slab cut, which is a little softer than European maple. I enjoy trying new things with violas. I moved to Salt Lake City, after three years of college, in 1979 to attend the Violin Making School of America. At the time it was the only school of its kind in the United States. I graduated in 1983 and then taught at the school from the fall of 1984 to spring 1988. I taught varnish and set up of instruments and my husband, Michael, taught the construction part. We opened our shop downtown in the summer of 1988. As far as my other interests I like to ride bicycles, more often I mountain bike right now, but I used to race road bikes competitively. I ride a motorcycle also. I have a thing for going fast – when I was a little sprout, just four years old, I got a medal (which I still have!) for a downhill skiing race in Sun Valley, Idaho. I fly fish and go hiking when possible. Scoggins & Scoggins Violin Shop Inc.
Don’t miss hearing Carrie’s lovely violas as part of Viola Day 2016!! 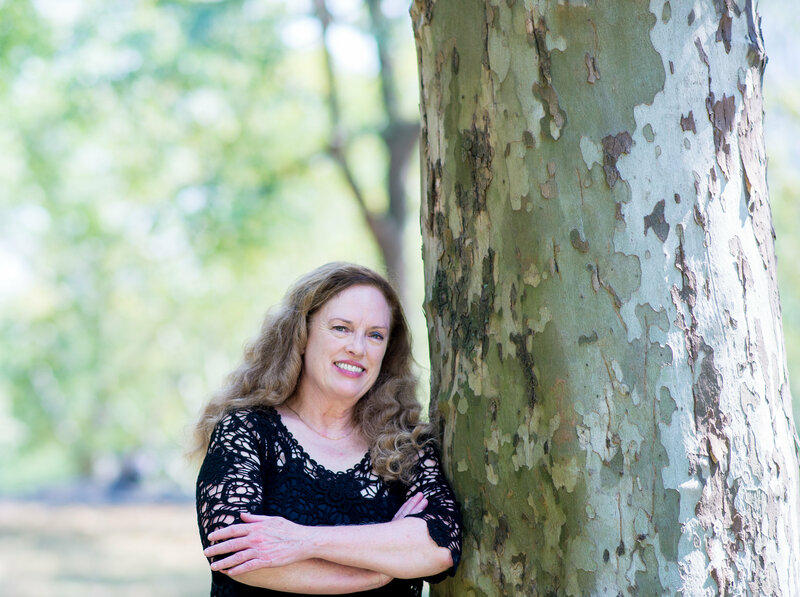 Get to know our guest artist, Patricia McCarty! In addition to giving a masterclass at Viola Day, she will be performing in recital with her duo partner, pianist Aram Arakelyan. On the program will be the Locatelli Sonata in G Minor, Borisovsky’s arrangement of Prokofiev’s Romeo and Juliet, Joachim’s Hebrew Melodies, and the Sonata for Viola and Piano by Arthur Benjamin. Don’t miss this! You’ve had an incredibly successful and interesting career – full of variety. Could you give us a brief history of your professional life as a violist? My first job after completing graduate studies at the University of Michigan was a faculty position at Ithaca College, where there was a faculty string trio, quartet and many other diverse chamber music opportunities. After two years in Ithaca, I joined the Boston Symphony Orchestra as assistant principal, remaining there for fourteen years. Teaching appointments since that time have included the Boston Conservatory and festivals such as Aspen, Sarasota, and Bowdoin. I currently teach at the Meadowmount School of Music and also coordinate chamber music for the 200 students there each summer. Performing concerti, recitals and chamber music, researching neglected repertoire, writing articles and recording have always been important activities and continue to keep me busy! Who were your teachers, and your most important musical influences? As a very young student growing up in Wichita, KS, I was fortunate to have excellent teachers in Eldon Lipp, who tirelessly taught me the bow strokes of every Mazas etude (whether I had properly prepared it or not), and later Joshua Missal, whose vast music library and keen interest in everything composed for viola enabled him to introduce me to a world of tremendously varied, level-appropriate repertoire in which I could discover musical expression while working on doable technical improvement. He also sparked my interest in neglected and non-mainstream composers. Now that I work with high school and college students at Meadowmount each summer, I appreciate more than ever how crucial these two teachers were to my early development. The most important musical influences to me were my primary teacher, Francis Bundra, with whom I studied during high school summers and for six years at the University of Michigan, and Joseph Silverstein, with whom I studied chamber music at Tanglewood and who became my mentor and friend for more than forty years. Some point in nearly every lesson I teach can be traced to something I’ve learned from these two artists. While he was a technical taskmaster who believed it essential for a violist to study all of the Rode, Dont and Gavinies etudes, Mr. Bundra also insisted that “without a sound, you don’t have anything.” He taught me to listen critically to myself for both technical and musical priorities, and to seek tone colors from my imagination which would serve the composer’s intent. Mr. Silverstein taught me the lesson of my life about bow control that summer at Tanglewood, and my education continued later in the Boston Symphony Orchestra, watching and imitating him to figure out the logic behind his designer bowings, which made the strings sound as nuanced and sparkling as a giant chamber ensemble. I think of him, his daily work ethic and his common sense principles of playing whenever I practice scales in parallel 3rds or 4ths, or two finger scales up one string, or virtually any Dounis exercises, and most especially when figuring out bow distribution. Have there been certain performances or musical experiences, at any stage, that stand out amongst the rest? So many concerts are memorable for a host of different reasons…certainly performances abroad stand out for the excitement of performing for a different culture. London’s Wigmore Hall is definitely the most exquisite and inspiring recital acoustic; a Telemann Concerto outdoors in the town square in Montserrat, Spain, and chamber music in a small fishing village in Hokkaido, Japan, were wonderfully unusual venues with appreciative audiences. Collaboration with Lou Harrison and his gamelan ensemble, commissioning Keith Jarrett’s concerto Bridge of Light, performing the Brahms songs with Maureen Forrester, many chamber music concerts as well as performances of the Mozart Symphonie Concertante and Arthur Benjamin Romantic Fantasy with Joseph Silverstein – are some of my favorite experiences. Can you tell us a little bit about your instrument, and your history together? My viola and I have been together since my senior year of high school! It was made by Joseph Napoleon Brugere, in Mirecourt in 1899, and measures 16.5 inches with a neck nearly as slender as a violin. My bows are both by Pierre Vidoudez; the bow I use most of the time was a gift from the maker whom I met during the Geneva Competition in 1972. 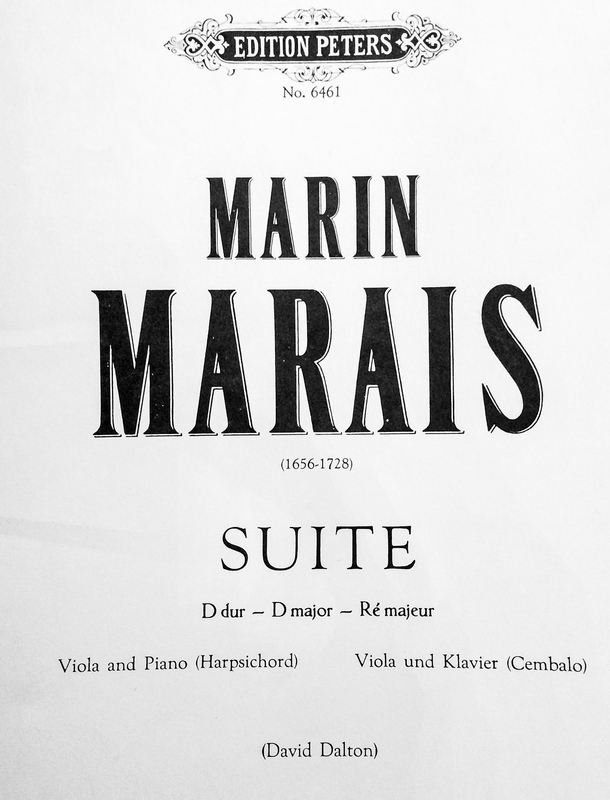 Could you talk a little bit about your program, and how you chose this repertoire? The Locatelli Sonata is an old favorite, for its quirky syncopation and jazziness which seem ahead of its time. I like to program music inspired by literary works or art for its potential to connect with the listener on two fronts. Everyone knows the story of Romeo and Juliet, and the Prokofiev ballet has long been beloved in the orchestral format. Vadim Borisovsky’s arrangements, challenging and especially well written for the viola, preserve the imagery of the original score and offer the violist a tutorial in old world style through his printed fingerings. Joachim was inspired to compose his Hebrew Melodies by Lord Byron’s poems of the same title. A violist himself, Joachim uses the somber voice of the viola to capture the serious and contemplative tone of the poems. Arthur Benjamin is one of a surprising number of composers to have fought in World War I. A gunner with the Royal Flying Corps, he was shot down over Germany and taken prisoner. He later became conductor of the Vancouver Symphony and composed his Viola Sonata for William Primrose during this time. It is a brooding, exotic sounding work, and the third movement’s rumba reference is especially fun. Do you have any words of wisdom for young, aspiring music students? In all of the music, scales and etudes you practice, remember that the end product needs to express some character, mood or emotional content. Solving technical problems is just the tip of the iceberg, and if you are spending all your practice time just getting left hand fingers to the right spot on the fingerboard up to tempo, while tone is suffering, then you need to rethink your practice strategy or consider a less difficult repertoire choice at this stage of your development. It is an age old axiom that your etudes should be at least as difficult, or more difficult, than your repertoire, so that you bring what Carl Flesch called “a surplus of technique” to your repertoire. And ideally these etudes, while challenging, can be produced to your personal best at the rate of one or more per week. Years of them really add up to something important for a lifetime, especially when practice time becomes precious. Listen to the recorded history of your instrument. YouTube videos through earbuds on your smart phone are certainly a quick and convenient reference, but to truly discern the expressive subtleties of what string players can do with bow speed, vibrato variation, shift timing, articulation variety, contact point, etc., there is nothing like hearing a vinyl LP or CD fill a room with sound through speakers. In lieu of this experience, a CD player and/or turntable plus fine headphones is also a valuable resource. Make sure you are really actively listening for details beyond the superficial “how does this piece go?”. Love the pursuit. Realize that your years of study with a teacher are relatively few, and that you are preparing for a lifetime of learning new repertoire and perfecting technical skills relying upon your own brain. Become multi-faceted – develop expertise in writing, public speaking, business, marketing, time management, fund raising – anything which can help you bring classical music to a wider audience. You will wear many hats in this profession! What are your interests or passions away from the instrument?